A Short Trip in Memphis: BBQ, Blues and Ducks! Last week was an interesting week for me. I went to Memphis! What made this trip interesting, besides being in Memphis, was that it was the first time I traveled alone, to attend a work related function, alone. I am a very shy person. If I did this trip 5 years ago, I would have been super stressed out about it and probably tried to hide for the most part. I have come a long way these past few years. Now, as much as I may have wanted to hide, I didn’t and even I surprised myself. Plus it was a workshop attended by 15 people, so hiding really wasn’t really an option. I networked, mingled and made some new contacts which will all come in handy in the near future. Success, I hope! Since I got back on Friday, and spent the entire weekend doing my part to help the economy by buying a new wardrobe to fit the new (and slightly more substantial) Sylvia, I didn’t have a chance to make anything. Except my lunch for tomorrow, which is an almond butter and honey (ran out of jam, so a local honey had to suffice) sandwich to be paired with an apple. Gotta start saving up that money to pay off that monster credit card bill coming my way! The workshop was held at the Peabody Hotel. 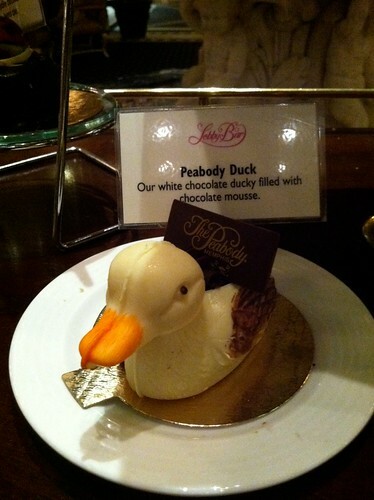 I had no idea the magnitude of fanciness of the Peabody Hotel in Memphis until I got there. The place is landmarked and has a thing for ducks. The lobby itself is pretty amazing (complete with dessert cart), and the room was one of the nicer ones I’ve stayed in. 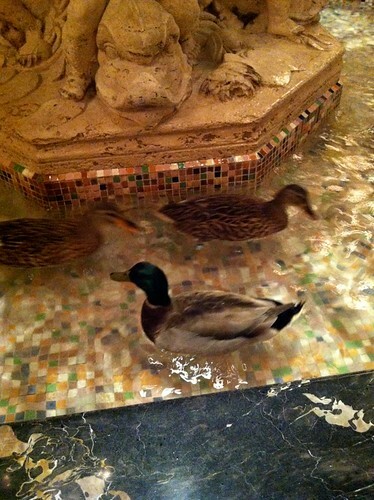 If you ever go, you have to see the Peabody ducks. 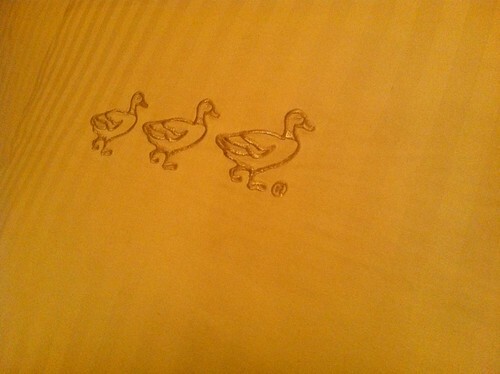 The Peabody Duck March made me smile. It’s also pretty fun watching them hanging out at the fountain (which they do all day) too. Plus, I’m was a little surprised by this, but I did find it strangely amusing that the person who tended to my room felt the need to tidy up after me by very neatly re-arranging all of my toiletries and make-up (which I have a bad habit of messily spreading everything out on the counter) on top of a towel on the bathroom counter and de-tangling and coiling up all my charging cables and neatly arranging them on the desk. I was amused, since they usually just push my stuff off to the side, or work around it. Memphis is the king of BBQ and Blues. And I love BBQ, so this was pretty exciting for me. Luckily for me, Charles Vergos’ Rendezvous was right across the street from the hotel (across the street, and down an alley). I actually ended up eating there twice. 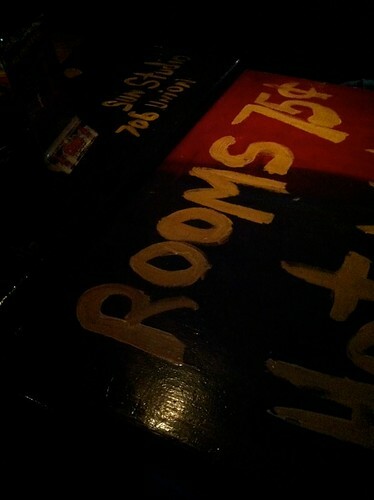 Once the first night I arrived. I literally dropped my bags in the room and made a beeline for it. I had my priorities. The camera on my Droid did not do this justice. 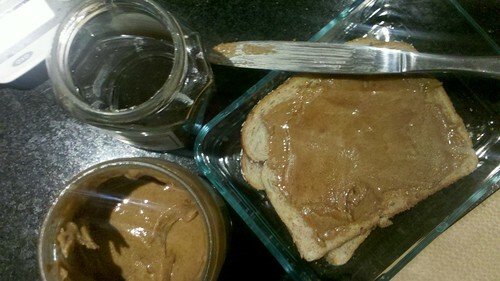 Trust me, it was yummier than it looks. Second, with the group on my last night there. Totally worth it. They are known for their dry rub ribs, which is exactly what I had, washed down with a glass of Ghost River Ale (very good with the ribs). The second time I was there, I had their beef brisket, also made with the dry rub, washed down with their sweet tea (as per our waiter, here, the iced tea is always sweet). 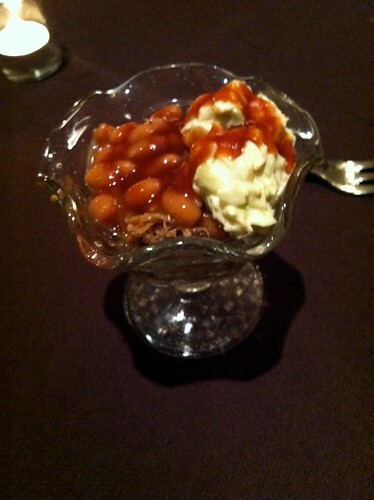 It was delicious, and the sweet tea was also really good. With my BBQ fix satisfied, I also had the opportunity to enjoy some live Blues music. I’m not too familiar with Blues, but it was fun and I really enjoyed it live. Can I say I’ve been to Chicago, if the both times I was “in town” was in the airport? Technically, I guess not, but the airport was nice. Rick Bayless’ little food place, Torta Frontera has a pretty decent Greek yogurt offering, for those more health conscious flyers. 6am flights are too damn early. 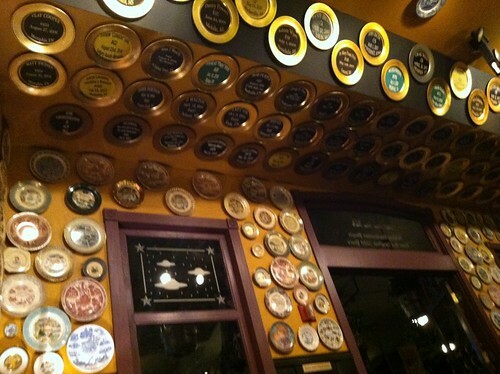 Because I have a pretty strict rule about who I drink with, I did miss out on trying a beer at the Flying Saucer, a Draught Emporium, as they call themselves. So many beers to choose from! Plus if you drink 600, apparently you get a plate. I guess all in all, Memphis is a nice little city to stop at. I think it would be a lot more fun to visit in the summer, when the crowds are larger and Beale Street has a less deserted feel to it. If I ever go on that BBQ road trip I keep envisioning, Memphis would definitely be a stop. Maybe I’ll see those ducks again! 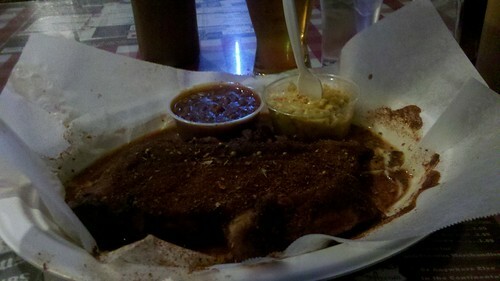 This entry was posted in Dinner, Travel and tagged BBQ, Blues, Ducks, Memphis, Peabody, Rendezvous. Bookmark the permalink.